A Burst Pipe Costs Thousands. Prevention Costs Pennies. Imagine coming home to this: Your floor is soaked, mold has started to grow, and your dog is frantically barking. A pipe has burst and flooded your home—and it's going to cost thousands to fix. But with a water leak detection system, not only can we alert you to a flood, we can stop them, too. 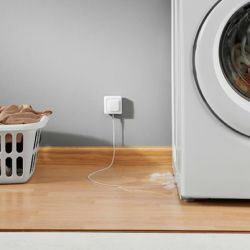 First, we'll set up the water sensors near appliances that need it most, like your water heater and washing machine. 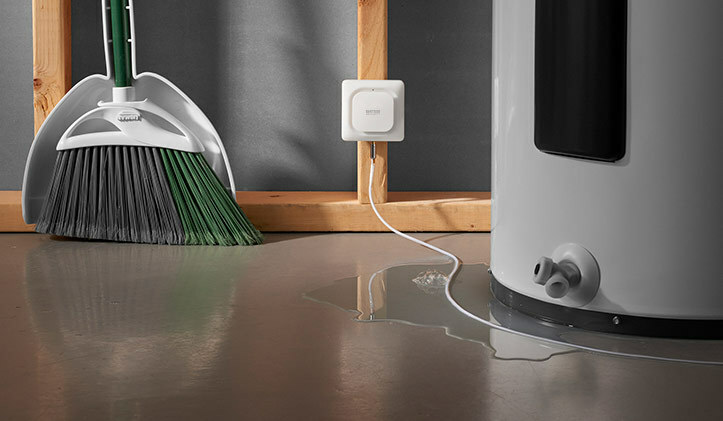 Then, if any of your appliances leak or flood water, the sensor will set off an alarm and can send an instant notification to your phone. So you can stop floods early before they cause any major water damage. 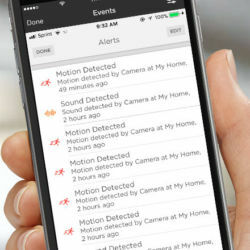 Upgrade to home automation to get emergency notifications (like those from your water sensors) sent to your smartphone or web-enabled device. If this sensor detects water, your security system will sound an alarm. You can mount it on a wall or in another room to make sure you hear it. At the first signs of a leak, frozen pipe, or excess humidity this sensor can alert your smartphone.